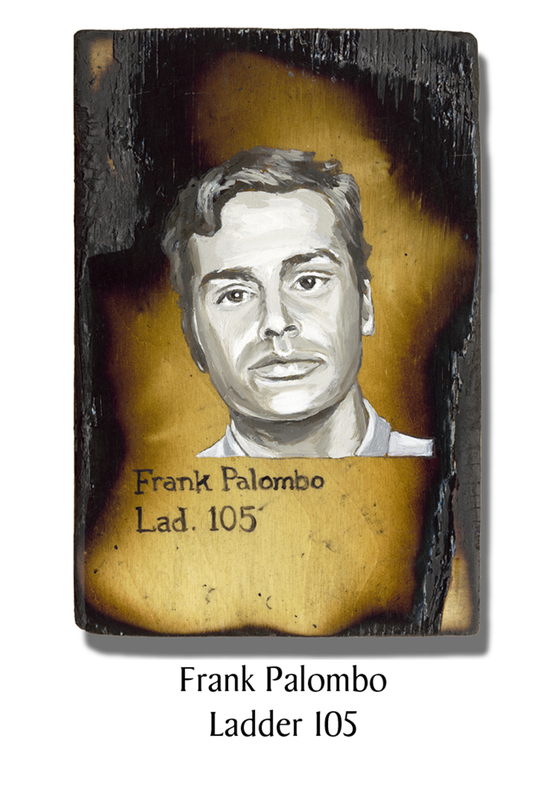 Frank Palombo, 46, joined the FDNY in 1979. In 1985, Palombo and his wife both joined the Neocatechumenal Way and then had ten children over the next 14 years. He believed each of them was an “undeserved gift from God.” Very involved with his faith, he loved saving bodies by being a firefighter as much as he loved saving souls through his faith. This entry was posted in Better Angels Stories and tagged 343, 9/11, better angels, Dawn Siebel, FDNY, firefighter, firefighters, firefighters of 9/11, Frank Palombo, Ladder Co. 105, LODD, Manhattan, memorial, NFFF, paintings, portraits, World Trade Center, WTC. Bookmark the permalink.